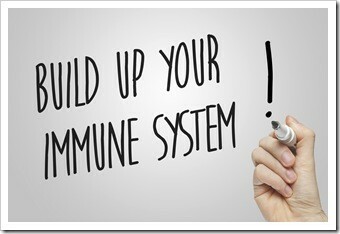 Read Fast Track Your Immune System by Dr. Barry Coniglio to learn more about Coniglio Chiropractic Wellness Center and our Chiropractic office in Mantua, NJ. Get Adjusted — Have you and your family’s spine, and nervous system checked? In the fall season goal to have your spine and nervous system checked each week because your central nervous system runs your immune system. Chiropractic kids are freakishly healthy — This is just one great reason why! Avoid Sugar and Snacks – Aim to lower the intake of sugary, salty or fried foods, or foods with pesticides or preservatives in them. Although you may not be able to entirely avoid those foods, limit foods rich in those ingredients where you can. Steer your family towards fruit and vegetables instead. Need a fast fun suggestion? How about a fabulous power smoothie! Reduce Dairy — Try using almond or rice milk instead. Take any child with asthma or ear infections off of dairy, and they improve – just about every time. Add in some adjustments, and the healing is even faster. Exercise Regularly — Make sure you and your kids exercise each day. Even better, do a small workout in the morning before school together that is fun. It immediately cuts down on whiny morning behavior and best of all It also gets their lymphatic systems moving which makes for healthier kids. This entry was posted on Tuesday, October 16th, 2018 at 1:14 pm and is filed under Health Articles. You can follow any responses to this entry through the RSS 2.0	feed. You can skip to the end and leave a response. Pinging is currently not allowed.